Valentine's Day is here and it's the occasion to spoil your special one. 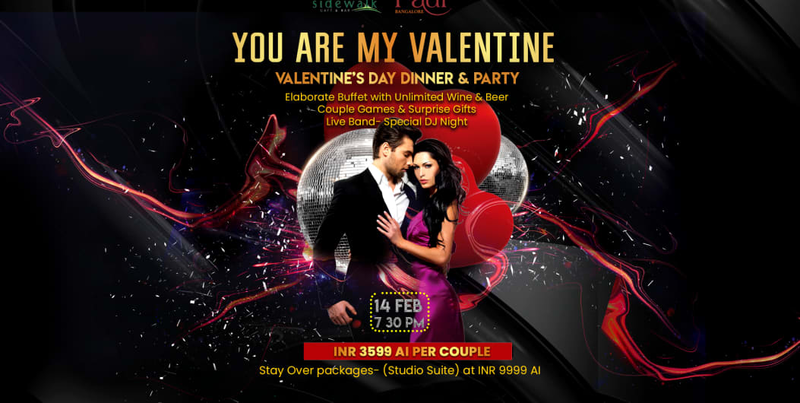 Sidewalk Cafe & Bar at The Paul Bangalore presents you- You Are My Valentine. A Valentine's special candlelit romantic dinner followed by a Bollywood DJ party at Murphy’s Brewhouse. Like every year, Sidewalk gets adorned in Valentine décor with tables set specially for couples. The dinner is a multicourse, multi cuisine affair with unlimited wine and beer on free flow. A 2 piece band will serenade and entertain you the whole night at Sidewalk, couple games and surprise gifts await and we will end the evening with a madcap Bwood party at Murphy’s. All this at INR 3599 per couple. And if you want the romance to continue till the next day, book a beautiful suite in the hotel at INR 9999 AI per couple that includes your stay, dinner and next morning breakfast. Hurry before we get sold out! 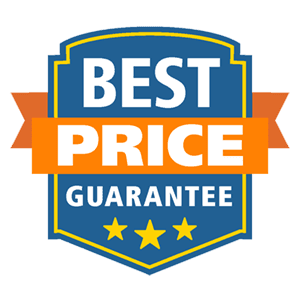 The Paul Bangalore is a 5 star hotel in Bangalore, India offering some of the best Bangalore hotel deals for travelers. Special Details: Event will start 7.30pm onwards.